My thoughts: At just over 70 pages, this novella was a quick read and gave an interesting twist to the story behind the Salem Witch Trials. 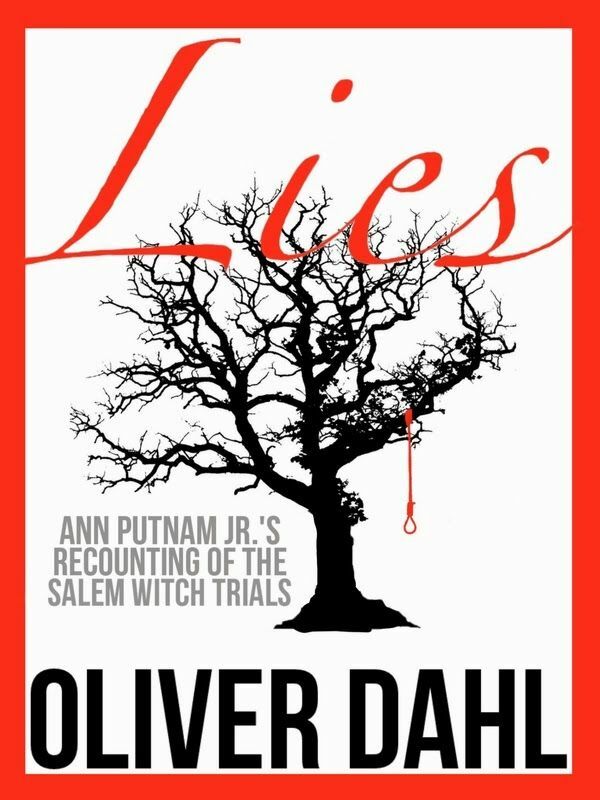 While it starts with the cast of characters that we all know - Abigail, Elizabeth, Ann and Tituba, Oliver portrays the origins behind some of Ann's accusations in a new light. While I think most people believe that these girls were all pretending for fun and attention that got out of hand, reading Lies gave me another perspective to think about - how it might not have been all about the girls, but how there might have been other adults who were really running the show. I enjoyed reading Lies and it was a quick escape from the present. I would also like to offer that the author, Oliver Dahl is just 16 years old and this is the third book that he has written. You can find out more about him at the following links: Website / Blog / Twitter / Facebook. Follow the complete tour here. First Kisses - Book Blitz!